As a language which is spoken by more than 1.3 billion people in the world, the Chinese language displays its infinite charm to the whole world. Chinese --- Language of the future! Over the past few years, China has witnessed the greatest economic growth in the world. With its reform and opening-up policy, China opens its door to the whole world. It is playing an increasingly important role in the world economy. That means there are more jobs and investment opportunities in China. Therefore, a good command of Mandarin Chinese and Chinese culture will definitely give you an edge in the work force of the future. In addition, because of the increase of cooperation between China and other countries, many US and European companies are eager to look for the personnel who have a good knowledge of Chinese and Chinese culture. So studying Chinese is to invest for your future. Chinaboasts a long history of over 5000 years and a profound culture. Classical Chinese art, calligraphy, poetry, history, literature, painting and philosophy, all these are the gem of Chinese culture. You can never fully understand a culture if you have no idea of its language. Learning Chinese opens a door for you to get acquainted with the splendid Chinese civilization. Learn Chinese in the world's fourth largest country. Coming from a western country, going toChinameans entering a complete different realm. Known both for being home of one of the most ancient civilizations and one of the world's epicenters of technology innovations,Chinaseems to have an inner mystique that attracts people from around the globe. GOLDEN BRIDGE in cooperation with OU LU International Education Center located inBeijingChinaoffers you the unique opportunity to learn this language right where it is spoken. We believe that the local culture is the most important link for someone who decides to learn a foreign language. In fact, we hold tight to the idea that only by getting in close touch with the local people and their singular customs, traditions, rhythms, and ways of lives can a language experience be truly effective and rewarding. 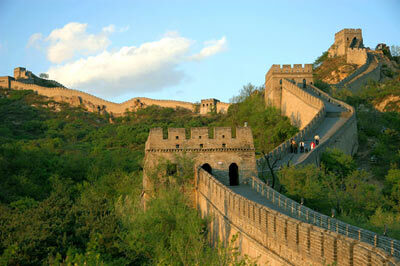 Chinese courses: Intensive Chinese course and Private Chinese course. Both Chinese courses are designed for beginners and non beginners. University Foundation programs to study at various Colleges and Universities based in BEIJING, CHINA. Our Programs are open to Participants from Georgia, Armenia and Azerbaijan.